Reason number two why I’m bizarre: I was inordinately excited when we learned about Brussels sprouts and broccoli in biology today. And I whispered unwittingly, “I love broccoli.” And the poor frat boy next to me gave me a bemused look and shook his head. Here is a biology lesson for you today! 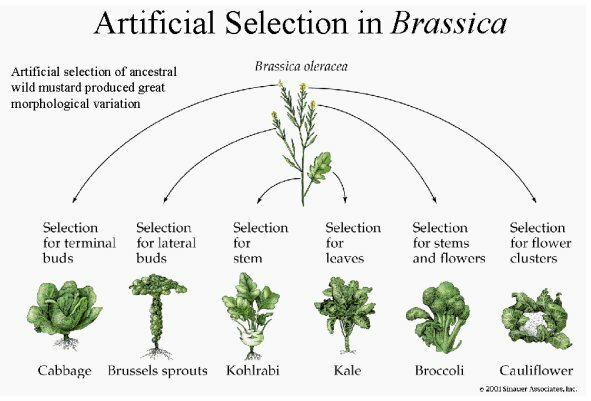 For those of you who did not know, my beloved Brussels sprouts, along with my even-more-beloved broccoli, and other favorites such as kale and cabbage, are all derived from the same plant (wild mustard, or brassica oleracea) being selectively bred for different traits. Such as wide, delicious stalks for broccoli. Etc. Etc. Etc. Incidentally, I hate mustard. Just saying. This is what I took to Christmas Eve dinner, then made again for dinner during the week (this time featuring tofu), then prepared again for my New Year’s Eve dinner. It’s not fancy, it’s not particularly gourmet, but damn is it delicious. Well, if you’re addicted to vegetables as I am. It’s also not really a “recipe”, more like guidelines. 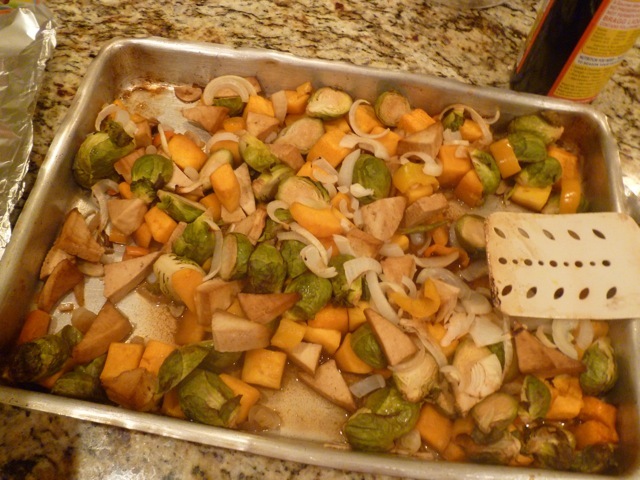 Pick whatever vegetables you like to roast… here are some of my faves! Spray a large metal baking pan with cooking spray. Spread vegetables liberally around the pan and drizzle marinade mixture over the top. Sprinkle with sea salt. Cover pan with aluminum foil and let bake for around 25 minutes. Open, stir, and check on the cooked-ness of the vegetables (I like to add the onions in here, so they don’t get too mushy after the full time). If desired, add a sprinkling more of salt or Bragg’s. If there seems to be too much liquid (which can make the potatoes and squash mushy), drain some of it into a separate bowl. Return to oven for another 20 minutes, uncovered. 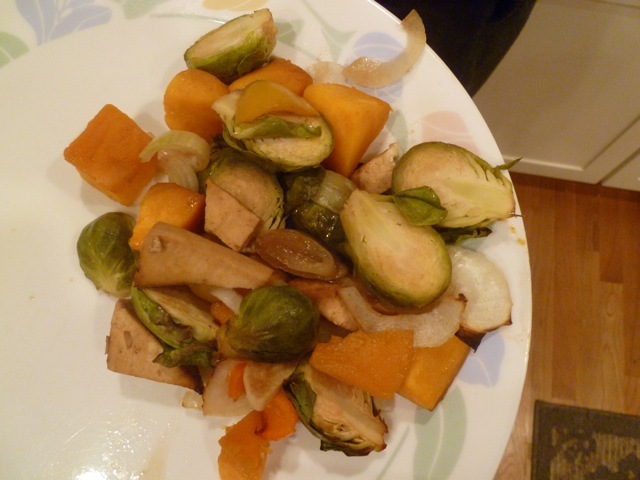 Continue checking and roasting until you feel the vegetables are adequately cooked. Basically, play it by ear, and do what you want. But roast some vegetables. And eat them. They’re delightful. These are, quite honestly, what I have been missing most about eating at home. I would kill for a roasted butternut squash. Instead I’ll just take my bowl of packaged oatmeal and sit in a corner and cry while poring over phylogeny & Brussels sprouts.